Willow Flycatcher: Breeds from southern British Columbia, Alberta, North Dakota, New York, and Maine south to central California, Nevada, the southwest, Arkansas, and Virginia. Spends winters in the tropics. Preferred habitats include swampy thickets, upland pastures, and old abandoned orchards; also occurs along wooded lakeshores and streams. The Willow Flycatcher was first described in 1828 by American ornithologist John James Audubon. 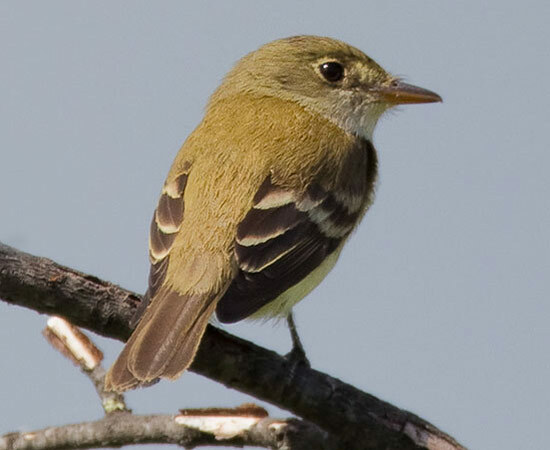 At one time, this bird and the Alder Flycatcher were considered to be a single species, Traill's Flycatcher. The species name commemorates the Scottish zoologist Thomas Stewart Traill. The Willow Flycatcher has a considerable global range reaching up to generally 7.3 million square kilometers. 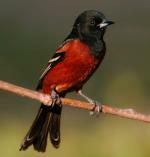 This bird can be found throughout the Caribbean, North America and Central America including Belize, Canada, Cayman Islands, Colombia, Costa Rica, Cuba, Ecuador, El Salvador, Guatemala, Honduras, Mexico, Nicaragua, Panama, and the United States. 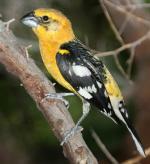 It also has a vagrant population in Jamaica. This species appears in an array of environments including forests, shrublands, inland wetlands and even pastureland. 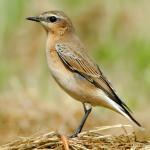 The global population of this bird is estimated to be around 3.3 million individuals. Currently, it is not believed that the population trends for this species will soon approach the minimum levels that could suggest a potential decline in population. Due to this, population trends for the Willow Flycatcher have a present evaluation level of Least Concern.